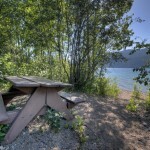 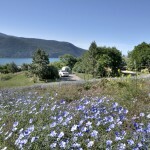 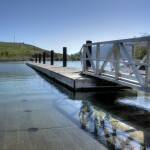 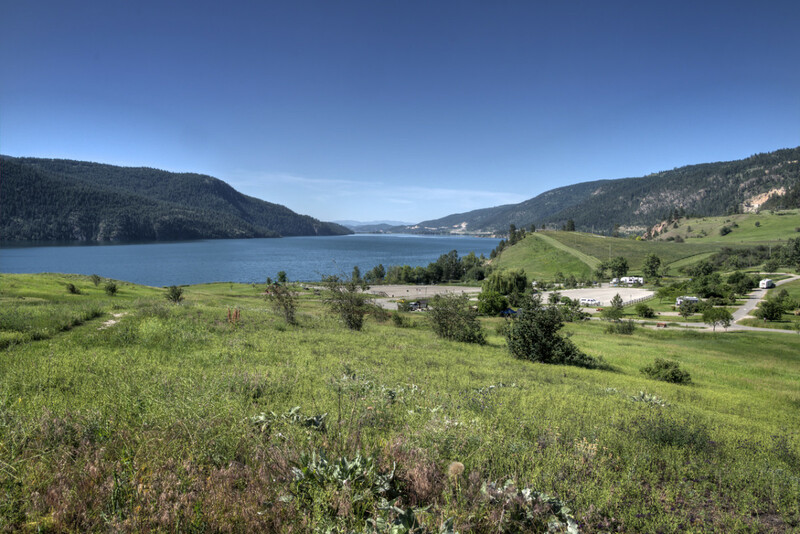 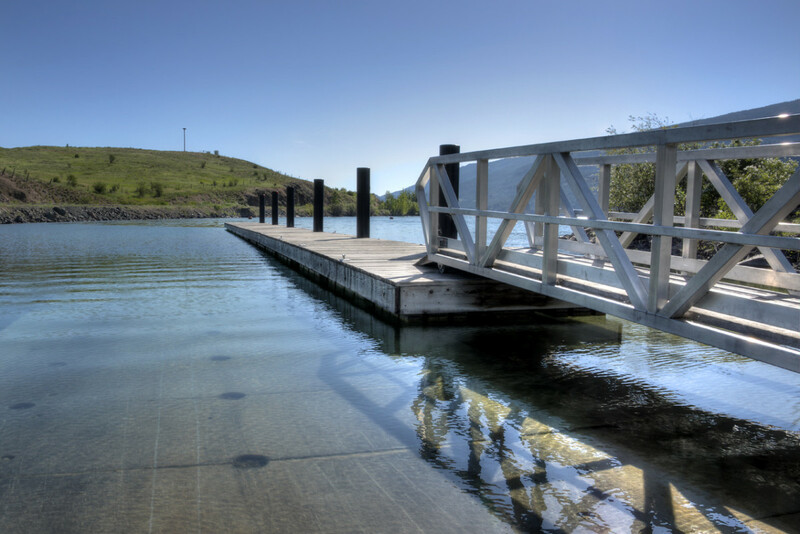 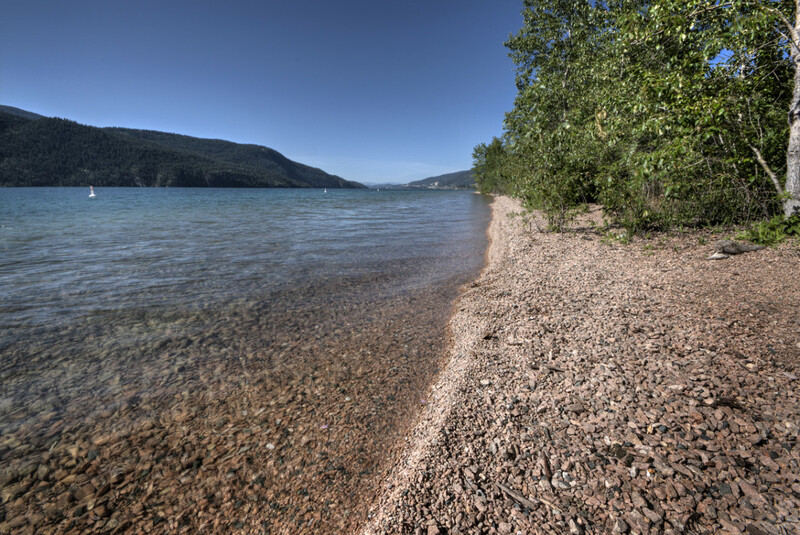 Situated on Kalamalka Lake, Kekuli Bay is a popular destination for boaters. 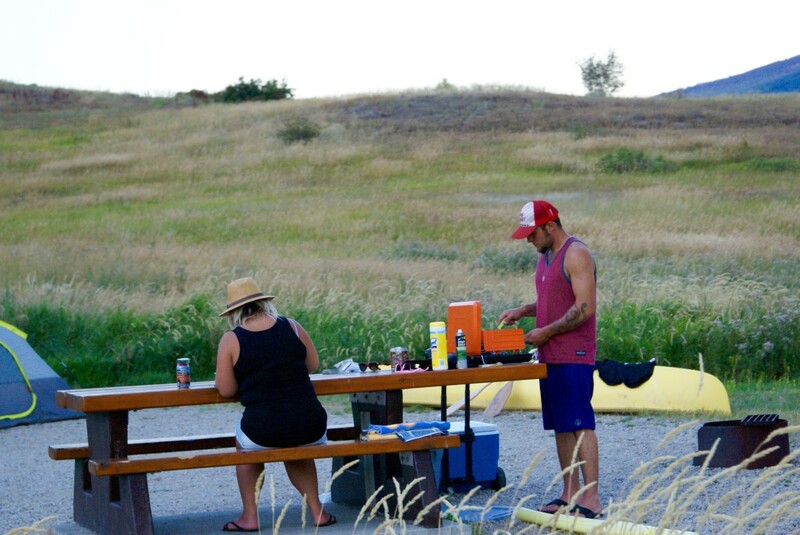 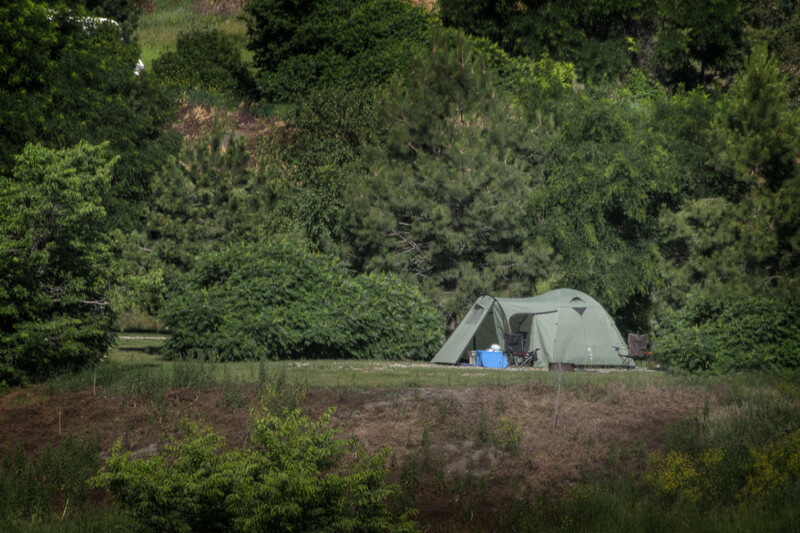 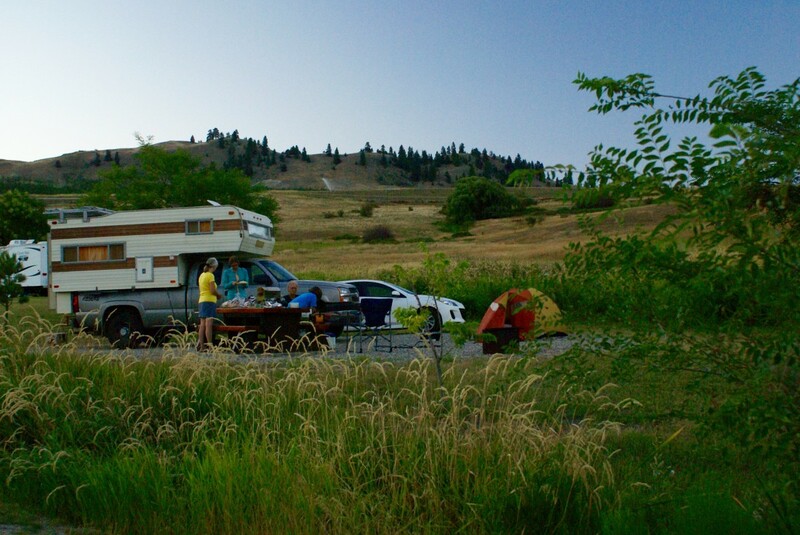 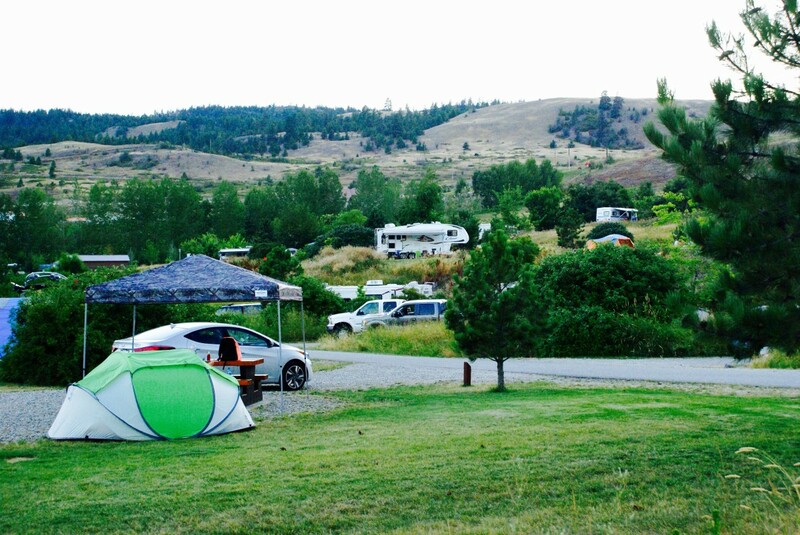 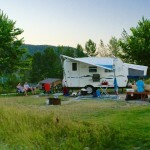 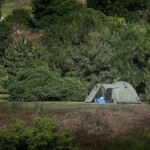 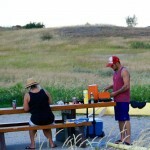 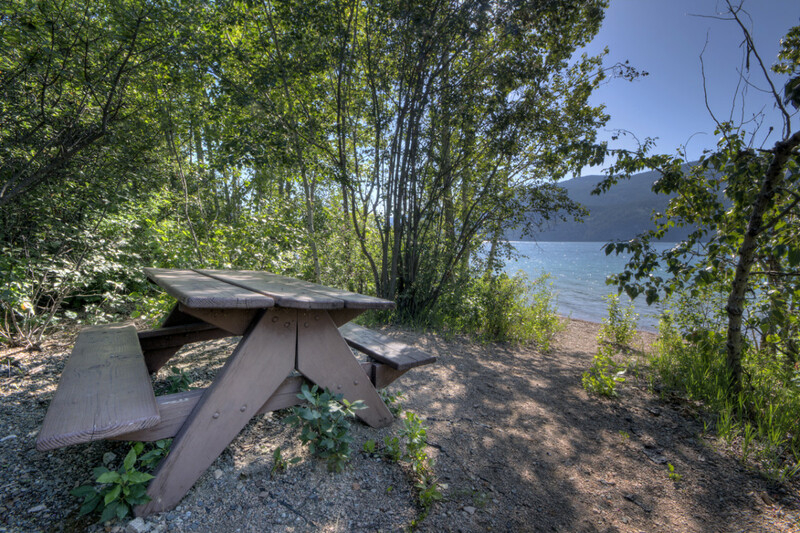 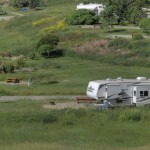 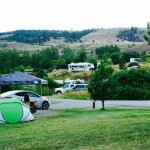 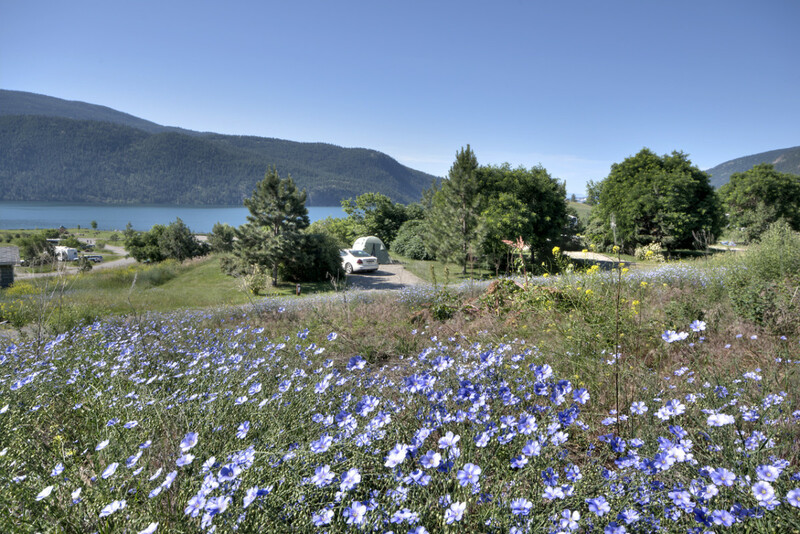 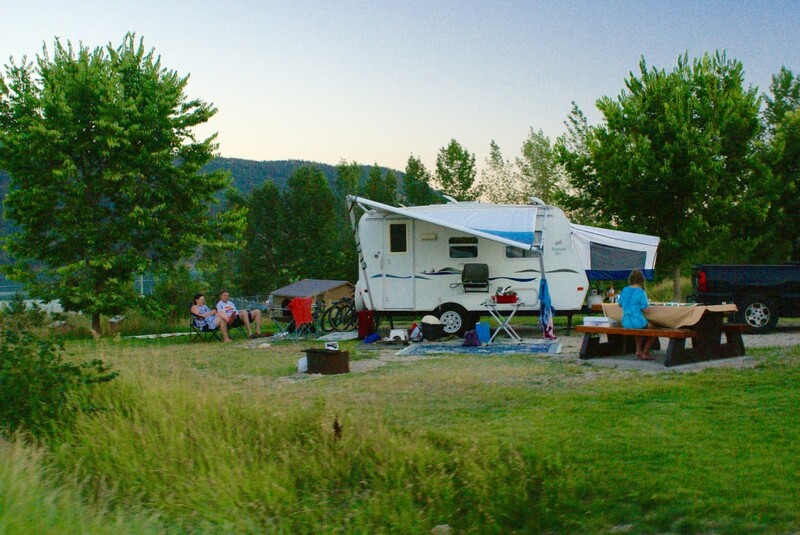 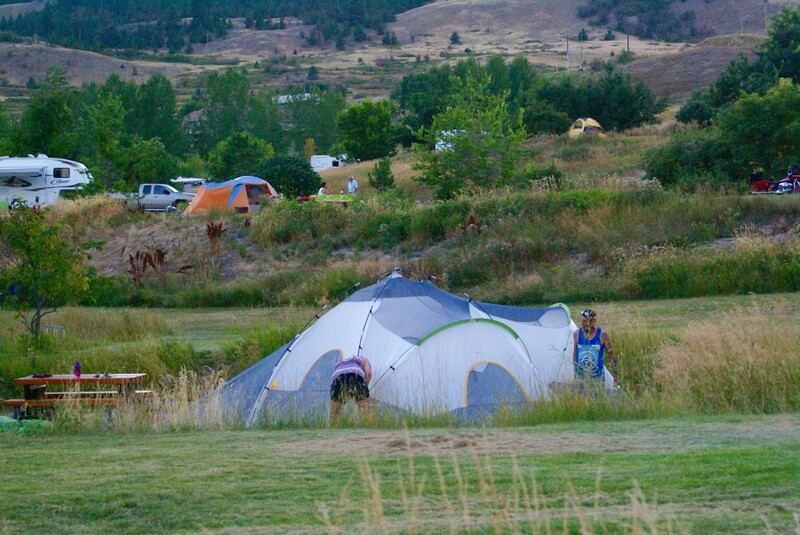 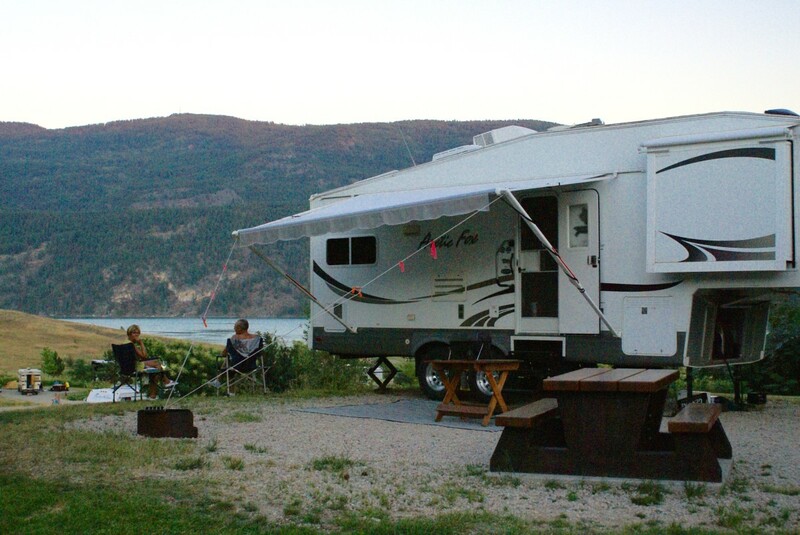 This park has the area’s best overflow camping facilities which include 3 grass terraces equipped with tables and shared fire pits for tenters and 4 power hook-up sites for RVs. 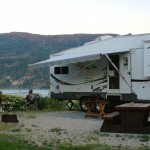 In July and August this is often your best available option. 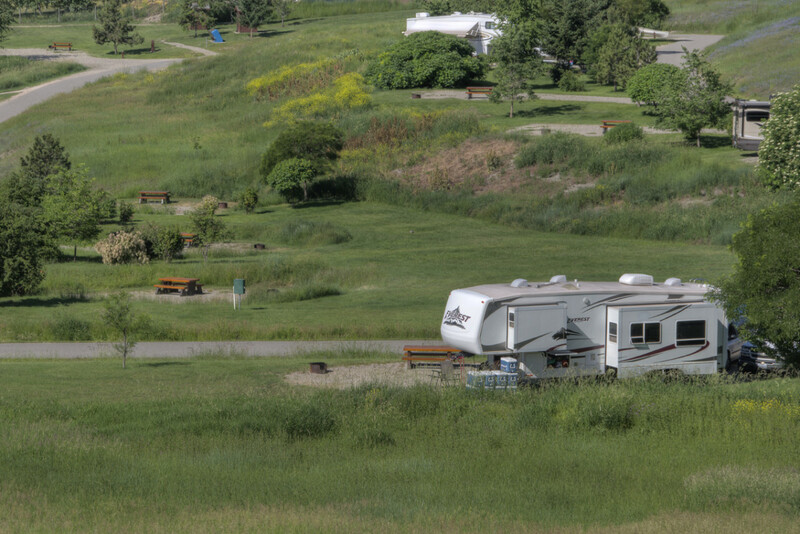 Kekuli Bay has become a favourite destination for RVers and is now the area’s most popular park during spring and fall because of the warm sun and spectacular lake views from each of the campsites. 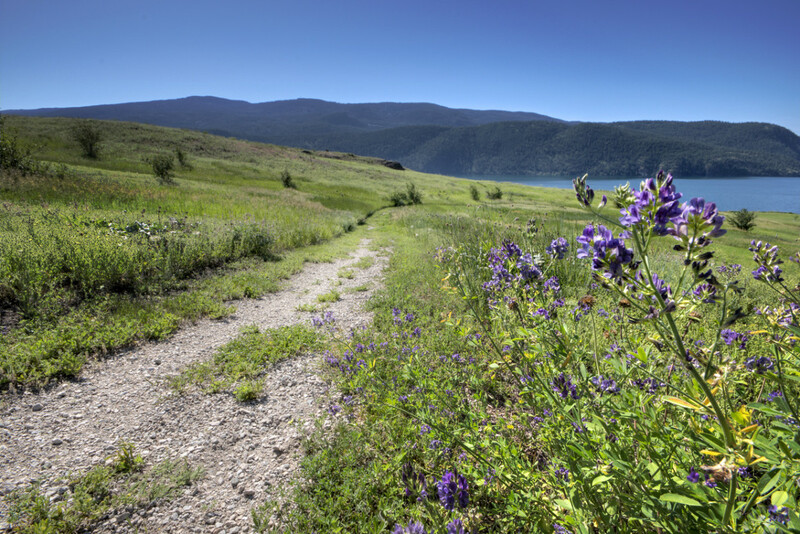 There is a 2.6 km Nature loop for hikers. 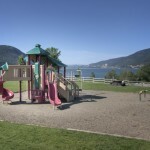 Open from April 5 to October 27. 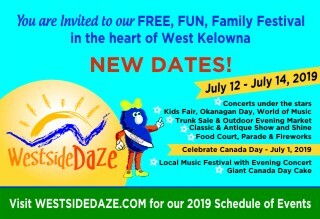 Check website for updates. 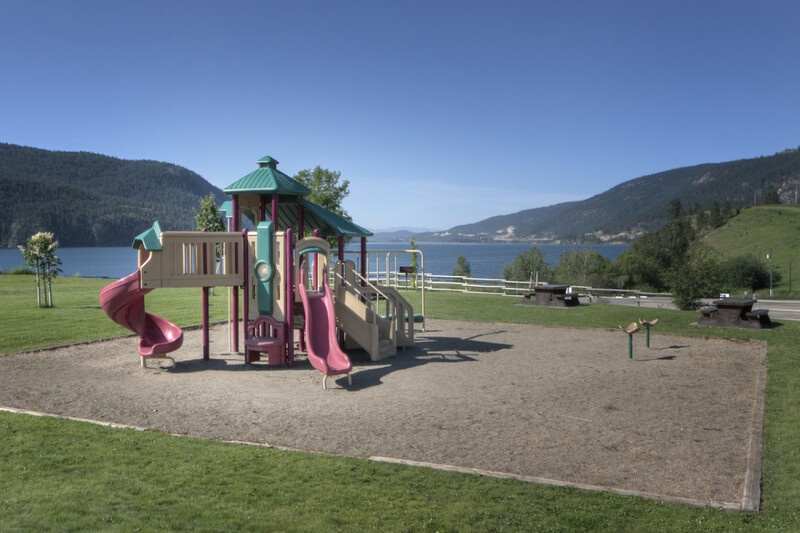 71 campsites (70% reservable), large overflow camping area with 4 high density power sites, flush toilets, showers, playground, picnic and day-use facilities, boat launch. 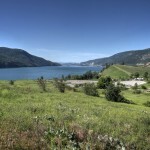 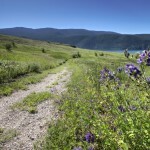 11 km south of Vernon off Highway 97.